The biggest paddle board festival on Lake Tahoe just got bigger. 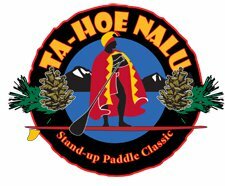 The Ta-Hoe Nalu SUP Festival is designed to introduce the individual to the world of stand up paddling by offering equipment, guidance, and instruction by qualified SUP athletes. 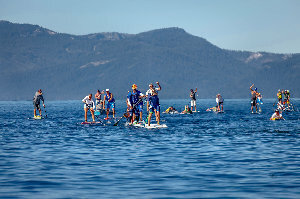 The Ta-Hoe Nalu Paddle events have always been fun race venues for all levels of ability, age and gender. It has been about people having fun while enjoying the eco-friendy, healthy sport of paddling. The Ta-Hoe Nalu SUP Experience allows individuals to become part of this exciting sport. The fees include a demo board, paddle, instruction, guided tour, event T-Shirt and lunch ticket. Part of the proceeds will benefit the High Fives Foundation and Sierra State Parks Foundation. Become a Tahoe Keeper: Protect Your Favorite Place. Stop the Spread of Aquatic Invaders. 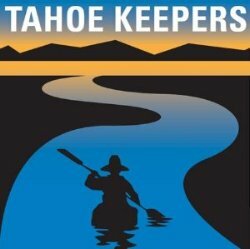 Please join our local paddle shops and other paddlers and become a Tahoe Keeper to help stop the spread of Aquatic Invasive Species (AIS) into Lake Tahoe and Truckee water bodies. It’s easy. It’s free. It matters. Aquatic invasive species (AIS) threaten Lake Tahoe’s famous water clarity. Invaders spread through the transport of water and debris that can collect in cockpits and hatches, and cling to outer hulls, rudders and paddles. Spreading AIS violates local, state, and federal laws. Self-Inspect & Decontaminate: The Tahoe Keepers online training program demonstrates how to Clean, Drain and Dry your watercraft and gear every time you haul out or move between water bodies, and properly Dispose of any plants or debris. CLEAN watercraft with pressurized water, removing all dirt, plant, and animal material from your rudder, hull, cockpit, and fishing gear. DISPOSE of foreign matter above the waterline on dry land or in a trash can. DRAIN the water from your hatches and cockpits on land before you leave the immediate area. DRY your watercraft before launching it again. When paddling in an area infested with AIS or if you find contaminants on your boat or board, implement additional decontamination measures, such as spraying with pressurized water and keeping your watercraft completely dry for at least 5 days. Prevent In-basin Transfer of AIS: If you only paddle within the Lake Tahoe basin, it is still very important to inspect your watercraft and gear to ensure you are not inadvertently transporting invaders found in Lake Tahoe to other Tahoe-Truckee area water bodies. If you find AIS on your equipment or you are arriving at Lake Tahoe from a region with infested water bodies, inspections and decontaminations are available free of charge at the roadside watercraft inspection stations. 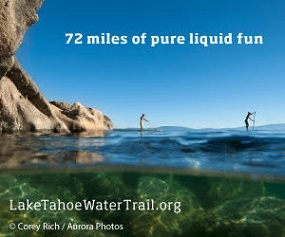 Learn more and join the Tahoe Keepers stewardship community at www.TahoeKeepers.org. Call 1-888-824-6267 for the AIS hotline.